Welcome to my first gift guide of the season! Now that Bonfire Night is out of the way, we can concentrate on Christmas! Woo hoo! Here’s a selection of my favourite personalised gifts for this year! 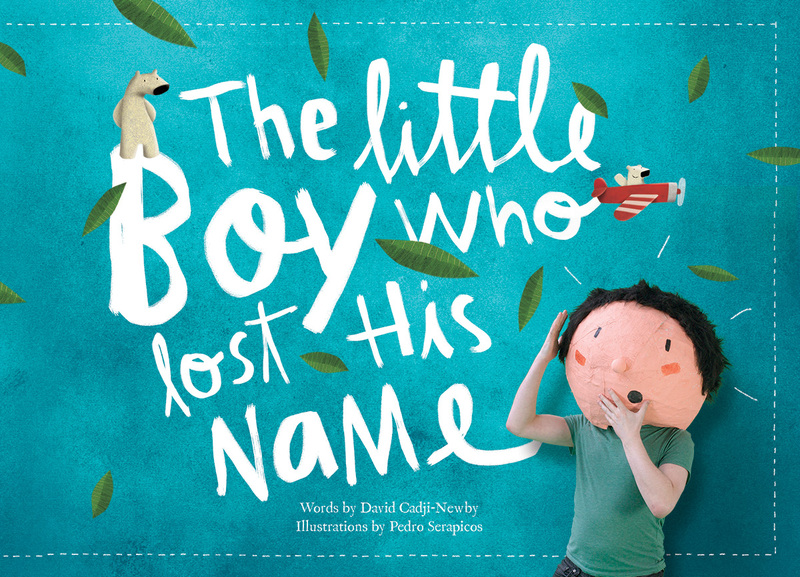 The Little Boy Or Girl Who Lost Their Name is the UK’s best selling picture book. It’s a totally unique, personalised gift based on the letters of a child’s name. For example, a child called Charlie would meet a Chameleon, Hippo, Aardvark, Robot, Lobster, Imp and an Elephant! You can choose from three different adventurers to make sure your book is personalised perfectly to your child; you can also include your own personalised message at the front of the book so you can dedicate it to whoever you like. The quality of this story book is outstanding; gorgeous thick paper that will withstand many a bedtime! I love reading this to my little boy, and will be reading it for many many years to come, I’m sure. 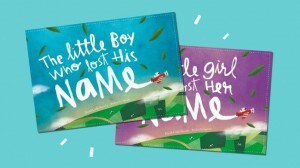 We’ve got a great competition where you can win your own personalised The Little Boy Or Girl Who Lost Their Name book! Such a wonderful Christmas gift! Enter now at the bottom of this page! 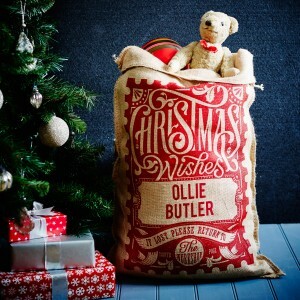 Give more than just a gift this Christmas, with one of these personalised Christmas sacks. A wonderful way to present a sackload of presents on Christmas morning! It’s made with the finest woven hessian, to an extremely high standard, with a variety of different designs available. It also comes with one metre of branded crimson satin ribbon to tie round the top of the sack; just gorgeous. If you sign up to their mailing list, you can get £10 off of your first purchase. Personalised Playing Cards are a unique and memorable gift that brings joy and happiness to the person receiving them and a warm glow in the sender too! 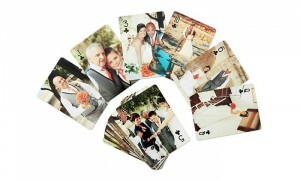 With Snapajack you can add your favourite photographs to create a present that everyone will love and treasure. We got a set for when we went on holiday (a UK holiday means that you should always be prepared for card-games indoors when it stars raining!) It was a lovely surprise for people, and made for a fun game of cards! 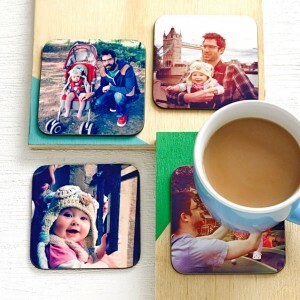 These photo coasters are great – I particularly like that you can choose different photos. It’s so hard to pick a favourite shot, it’s nice that you can choose several different ones. I get a couple of sets with my favourite photos of Baby B from throughout the year and split them up as a little stocking-filler gift for Grandparents (usually teamed with some chocolates and a couple of trinkets). We have a light up F in Baby B’s room, which gives off a lovely warm glow. 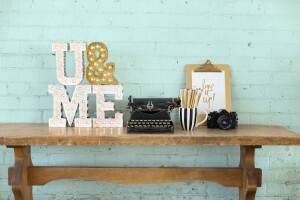 These letters are made out of cardboard and come complete with a strand of lights, clear bulb caps and instructions on how to mount them onto your letter. What’s more, you also get a template to draw around and cut out on a wide variety of papers and materials that you can insert into the letters as a backdrop. So they don’t have to stay white – you can use any backdrop you like to go with the decor in the room. Spending time with family eating alllllll of the good food! seeing the girls faces when they open their presents!!! I’ve seen ads for the personalized books on Facebook and I believe I am getting one for my daughter and nephew. They will love them! The whole family getting together and seeing the kids smiling. The house being decorated with colourful lights! We go to Iceland each yearon ho;iday as we always work on the big day. My favourite thing about Christmas is seeing the kids being all excited. I like getting lots of presents and spoiling my niece and nephew. Seeing the magic come alive in my sons eyes on Christmas morning. Nothing better. I love Christmas dinner with the family! Magic – I love the magic in the lead up to Christmas from the cheeky little elf, and then the night before awaiting santa to deliver presents. I love the magic and wonder that my girls have. My favourite thing about Christmas is taking my daughter to visit Christmas World at the local garden centre. The excitement on little faces! The music,the film’s and festive build up to the big day. I love it! Children getting super excited for the magical Santa to visit! I love having two weeks off work to spend quality time with my friends and family. Just seeing everybody enjoying themselves & getting into the spirit of it, decorations, lights, Christmas music & films etc.